Everyone uses the kitchen to a certain degree, and it is most often considered the most used room in the house. Over time, we have seen design changes to kitchens that support its heavy use, such as larger kitchen islands and TVs and entertainment centers added to accommodate a more casual entertaining environment. Even though we see design changes to accommodate the kitchens use, we do not see changes to the window treatments. Why not complete your kitchen space by selecting window treatments that match your lifestyle? Talk with a Windows to the World window treatment specialist here in Northeastern Pennsylvania for suggestions on how to bring your kitchen windows to life. When you select new kitchen window treatments, you’ll have four main categories to choose from: shades, blinds, draperies/top treatments, and shutters. Each one offers unique characteristics, from how they control light to how they operate. SHADES: The possibilities are endless. They come in fabrics, weaves, natural fibers, and vinyl materials and offer an array of opacity options. 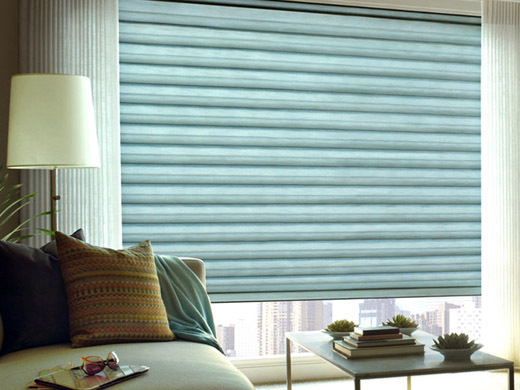 Unlike blinds, shades do not have rotating vanes. They can be lifted traditionally from the bottom, lowered from the top, or both (called top-down/bottom-up), providing you both light and privacy options. For a more contemporary look, consider the Hunter Douglas Designer roller and screen shades, Duette® Honeycomb Shades, or Provenance® Woven Woods. For a more traditional look, consider Design Studio™ and Vignette® Modern Roman Shades. Hunter Douglas products are available at a price point you can afford, with a variety of features and styles that you choose based on your design preferences, functional needs, and budgetary requirements. But remember, shades made from fabric may be susceptible to grease and food stains. BLINDS: Blinds can be made out of different materials: aluminum, wood, faux wood, and vinyl. 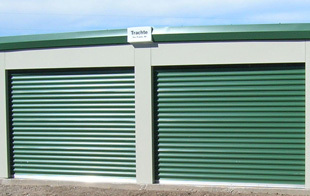 They have the ability to be rotated open or closed and come in a variety of slat sizes and colors. Blinds can even be lifted but will probably stack to cover the top part of the window, obstructing some of the windows view through. For kitchens with high moisture, a good choice would be aluminum or faux wood blinds, such as Hunter Douglas Everwood® Alternative Wood Blinds or Modern Precious® Aluminum. 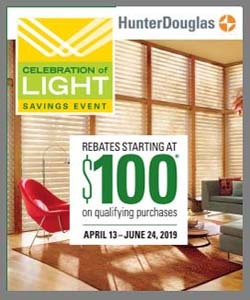 Hunter Douglas blinds never go out of style, can be cleaned fairly easily, and are a good value. DRAPERIES AND TOP TREATMENTS: The possibilities are endless. Used alone or in combination with blinds, shades, or shutters, draperies and top treatments will add the finishing touch to your kitchen windows. The nicest part about draperies and top treatments is that you can change them with the seasons to create a whole new look at your window. Plus, they are easy to clean. Select from ready-made or custom, whichever meets your budget. SHUTTERS – Shutters are classic, add value to your home and come in a variety of slat sizes and materials: wood, faux wood, and vinyl. Not only beautiful, shutters add privacy and energy efficiency too. Wood slats can be stained to match your existing molding, where faux wood offers a wide selection of popular colors, from wood grains to white. In high-moisture areas, you might want to consider faux or vinyl shutters. Considered the costliest in the group, with the addition of alternative materials, shutters are now more affordable than ever before. If your windows are high and hard to reach, consider PowerView® Motorization. If you have children or just don’t like the look of cords, consider LiteRise®.